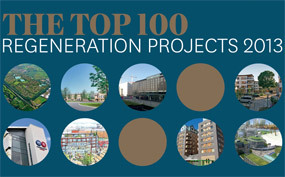 Welcome to the seventh edition of the Top 100, a unique source of intelligence on the biggest ongoing regeneration projects across the UK. 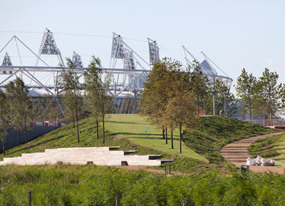 The series has tracked project progress from the boom times of 2007 through the credit crunch, a major recession and cutbacks in public spending. The sector remains challenging, but this year’s survey of the sector detects some signs of improvement in the volume of completions and funding sources. Activity has picked up again on major renewal schemes as the market fights back against the economic downturn, Bryan Johnston concludes. 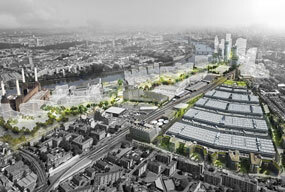 Some major schemes have kept completions going over the past three years despite the unfavourable economic climate, Huw Morris reports. Entering the Top 100 in pole position for 2013 is a project that looks set to dominate the listings for years to come.